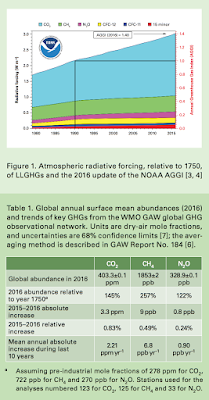 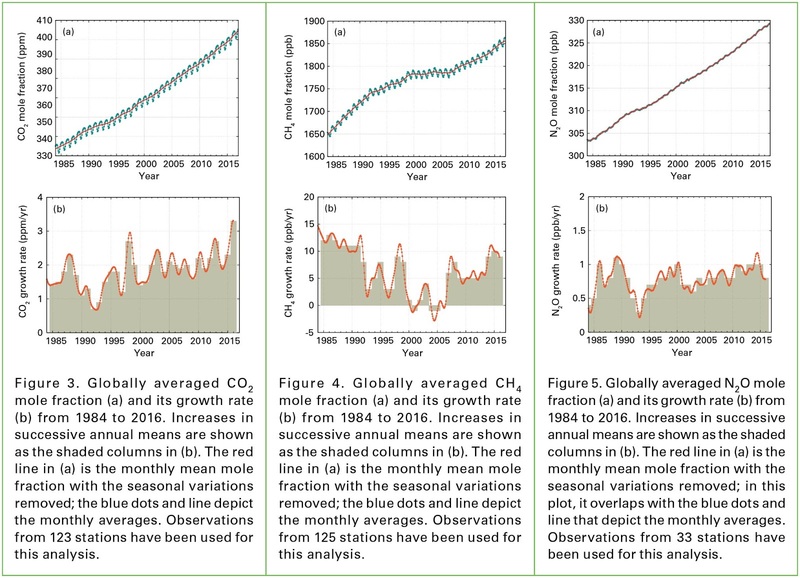 The latest analysis of observations from the WMO GAW Programme shows that globally averaged surface mole fractions calculated from this in situ network for CO2, methane (CH4) and nitrous oxide (N2O) reached new highs in 2016, with CO2 at 403.3±0.1ppm, CH4 at 1853±2ppb and N2O at 328.9±0.1ppb. 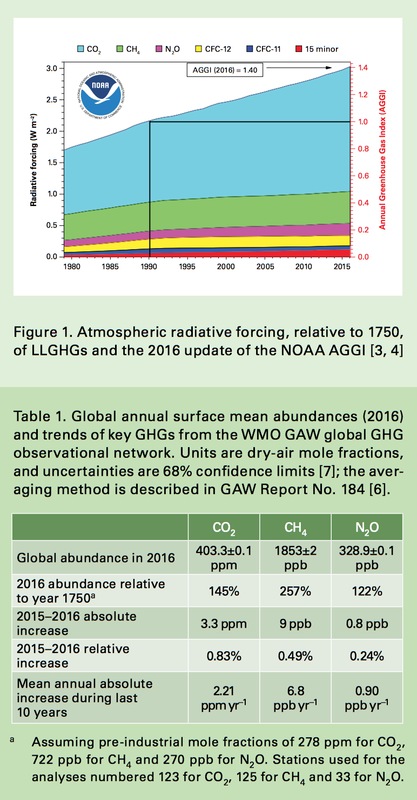 These values constitute, respectively, 145%, 257% and 122% of pre-industrial (before 1750) levels. 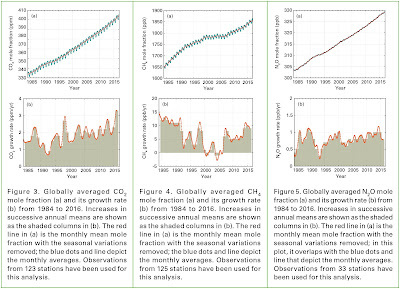 Since 1990, there has been a 40% increase in total radiative forcing – the warming effect on our climate - by all long-lived greenhouse gases, and a 2.5% increase from 2015 to 2016 alone, according to figures from the US National Oceanic and Atmospheric Administration quoted in the bulletin.